The code below will get the programname of the program being used. This will only work on Windows. 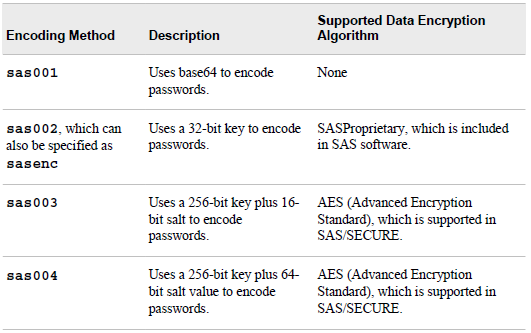 Below is a couple of commands that can be used to get information about your SAS-installation. The Setinit-command will give you information about the SAS-products that your SAS-installation is licensed for. The Product_status-command will give you information about the SAS-products installed on your system. Keep in mind that there could be a difference between what’s licensed on your system and what’s actually installed. The commands above will only give you information about the products installed for base-SAS. If you want information about what other SAS-products is installed on you system, then you can get this SAS-program from SAS and run it on your system. The code below makes a folder with an ISOdate. The code below lets you read data from api.statbank.dk into SAS. api.statbank.dk is an api provided by Statistics Denmark (Danmarks Statistik) for reading their public data. The code below gets it’s data from the table FOLK1. You can get a list of avaliable tables from this url – http://api.statbank.dk/v1/tables?format=CSV. The code also sets some filters on the tables, some of the information used in this post comes from here. The code below let’s you import the sheets found in an Excel-file to SAS datasets. ExcelFile: The Excell-file containing the sheets that you want to import. Prefix: Prefix of the datasets imported into work. Creating files for Excel in SAS can be done in different ways. One of the ways is to use the ODS tagsets.ExcelXP. The code below shows how to use the ODS tagsets.ExcelXP. It creates an XML-file that conforms to the Microsoft XML Spreadsheet Specifications and can be opened with Microsoft Excel 2002 (also known as Excel XP) or later versions. Compared to other ways of creating Excel-files in SAS the ODS tagsets.ExcelXP is very diverse and has a lot of options for doing extra things in your Excel-sheets – like frozen headers etc. NB! One downside of using ODS tagsets.ExcelXP is that is do not support graphics. The code below manually creates two sheets in the Excel-file, populates them with data through PROC REPORT (eg PROC PRINT can also be used) and gives two columns (variables) a different color. convert the .XML file to .XLS or.XLSX. The Excel-XML files created can become very big, that’s why it’s sometimes a good idea to convert it to a native Excel-format like .XLS or .XLSX and still keep the changes made to the Excel-sheets. The macro below will convert the XML-files found in a folder to .XLS or .XLSX files using VBS (Visual Basic Script). There can be a problem using the .VBS-script, if SAS is set to automatically start Excel to show the created file. The problem is that SAS is starting Excel to show the just created file, but also creates a lock on the file, that can collide with the .VBS-scrip trying to modify the file. This option for starting Excel can be removed in the SAS editor (Display Manager). Go to Tools -> Options -> Preferences -> Results (tab) and remove the tick from “View results as they are generated“. This will stop SAS from starting Excel when the .XML-file is created. %* to native Excel files. For more information see the below link. If you don’t want to remove the tick in “View results as they are generated” a little change in the program above is possible. You replace the call system with and x-command. If you use this option the XML-files created will still be locked and can therefore not be deleted. But it is possible to create the .XLS or.XLSX file. SYSCC contains the current condition code that SAS returns to your operating environment and it can be used to check the error-state of your SAS-program. But SYSCC doesn’t catch all SAS errors. If you want it to catch more SAS errors you need to set the option ERRORCHECK=STRICT. Setting this option will catch errors in libname, filename and include statements in SAS. The code below shows you how to find unique and duplicate values in a dataset and get them seperated into two different datasets. The variables you want to examin for uniqueness has to be in the by-statement and each have an not(first.<variable> and last.variable). Be aware that in SAS 9.3 there is an easier solution using proc sort. The code above will take the first of the dublicates and put it into the unique-dataset. It will not completely seperate unique and duplicate rows from each other. In SAS 9.3 proc sort has a new parameter uniqueout. This can be used to do the trick of the datastep much easier. I haven’t tried it, but I imagine that this is how it works.